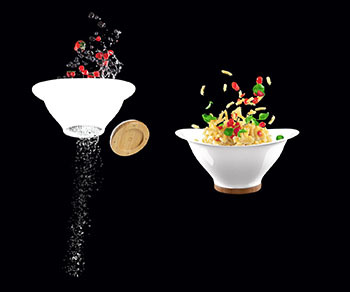 The Ventu Serving Bowl costs $50. It’s a plastic colander with a wooden circle you attach to the bottom, so that it can also function as a bowl. You can usually, of course, buy a plastic colander for a dollar.